There are only a few secrets remaining about the upcoming Zenfone 5 release from ASUS. According to information shared at the asus 2017 Q4 Investors Conference, the big splash is going to be made at MWC 2018 at the end of February. This is a departure from the typical Computex product launches in late May every year. More importantly however is the release date. The Zenfone 5 and Zenfone Max Pro M1 are set for a March release date. Expect this to start in Taiwan, then to various Asian markets, then Europe and eventually the North American and South American markets. The premium Zenfone 5z model comes a bit later with a June release date. 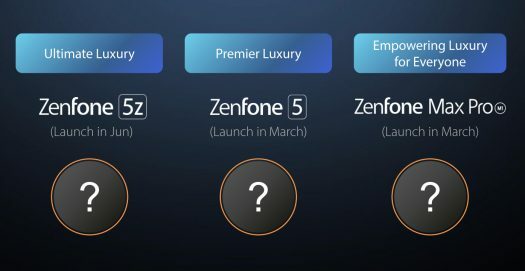 The new model that is considered “ultimate luxury” is the Zenfone 5z which means high price but premium everything. The Zenfone 5 is still a mystery in terms of specs and design although Roland Quandt believes it will be sporting the “notch”. Also announced at the investors conference is the Zenfone Max Pro M1 that is set to launch in March. Rumors suggest that the model X00PD may in fact be the Zenfone Max Pro M1. Some of the information comes via translation, but the processors mentioned include the Snapdragon 636 and 845. It’s not entirely clear which processor belongs to which model due to translation issues. ASUS CEO Jerry Shen mentioned that volume of sales is the new goal, although the price points will remain. If you’re looking for a lower priced series this time around, just be aware that it’s not going to happen. 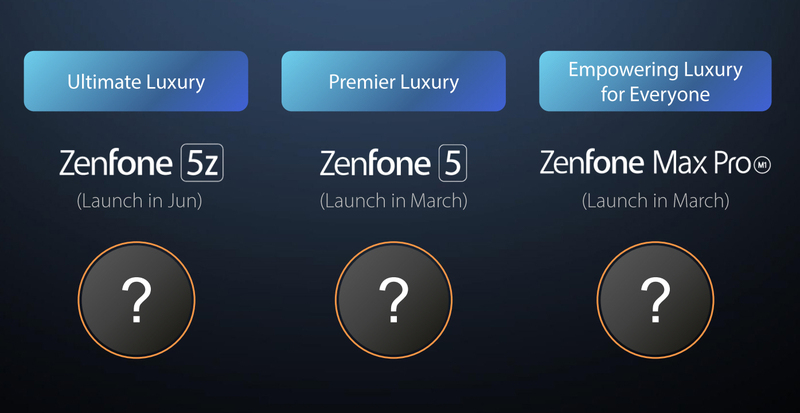 With the three Zenfone 5 models announced today however, there will be three different price ranges from low, medium and high. Be assured though that the Zenfone 5z will likely match the specs of an iPhone X or Samsung Galaxy flagship but will certainly come in at a lower price point that either of those two competitors.